This puffed/puffy heart charm bracelet, all sterling silver, standard length of 7″ with a 2″ extender. 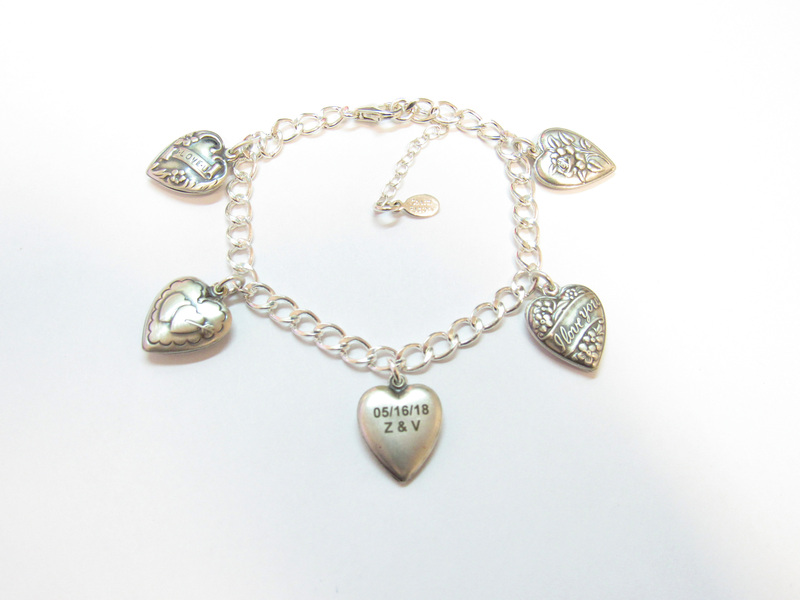 This beautiful vintage charm bracelet is composed of 5 puffed hearts, and made from tooling done back in the 1940’s. 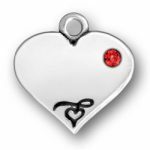 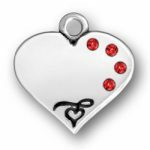 One of the Sterling Silver hearts is engraveable. 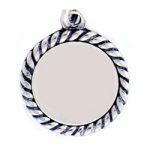 This Item is polished in a tumbler to show the beautiful details and put on a new 4.3mm Cable Chain with Clasp chain. 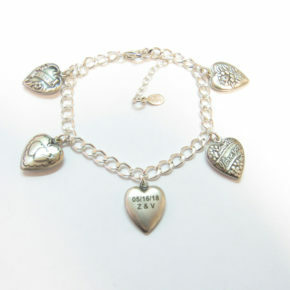 The vintage hearts are all different. 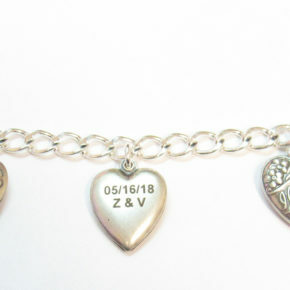 This Engraveable Vintage Puffed/Puffy Heart Charm Bracelet would make a wonderful Valentine’s gift for that special someone in your life.